Have you ever worked so much in the yard or the garden that you were almost sick of it? Don’t take that the wrong way. I never get tired of my garden or the flowers in it. But we have planted or added something to the garden every single weekend since about the middle of May. 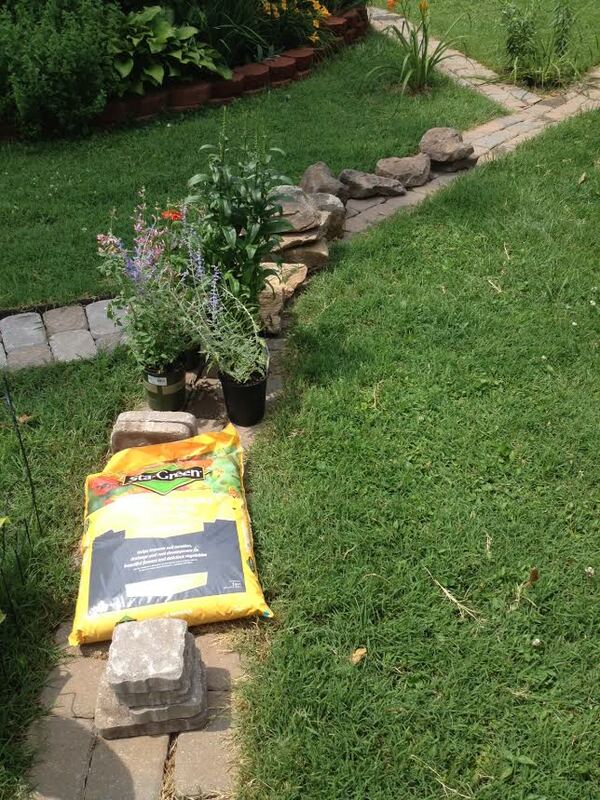 This picture is from a week ago when we added 12 more boulders along the path and yes, yes, yes, more plants. I like to joke that our garden will look beautiful if we ever finish planting it.